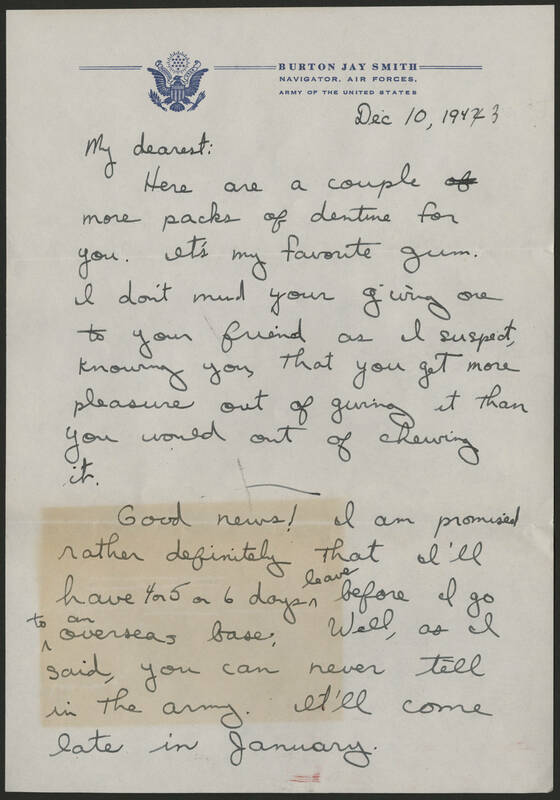 Dec 10, 1943 My dearest: Here are a couple more packs of dentine for you. It's my favorite gum. I don't mind your giving one to your friend as I suspect, knowing you, that you get more pleasure out of giving it than you would out of chewing it. Good news! I am promised rather definitely that I'll have 4 or 5 or 6 days leave before I go to an overseas base. Well, as I said, you can never tell in the army. It'll come late in January.